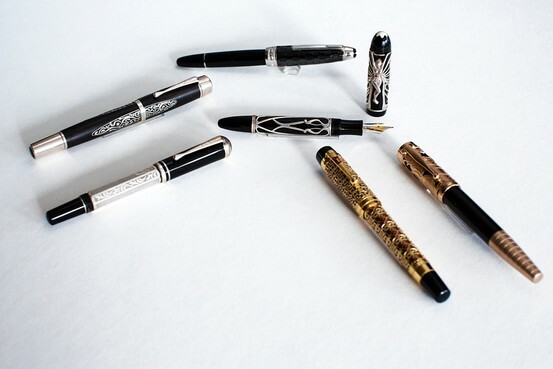 Montblanc's Jan-Patrick Schmitz likes fountain pens with eye-catching but elegant designs, above. A Montblanc Jules Verne signature pen from Mr. Schmitz's personal collection of more than 100 pens. Schmitz will even use different colored inks, above, for certain moments—he rarely uses black ink. In an age dominated by tech gadgets such as cellphones, a pen can still make a potent statement. Jan-Patrick Schmitz, president and chief executive officer of Montblanc North America, believes when you pull one out to sign a document or write something down in a meeting, it sends a message about your personal style. "When you look at an exec, there can be limited ways to express yourself—is your suit gray or dark blue? Stripes or no stripes?" he says. "Accessories are where you can express yourself—ties, watches and pens." Mr. Schmitz always carries at least two pens with him during his workday: one tucked in his briefcase's pen holder and the other in an inside jacket pocket. One of the two is typically a roller-ball used to "quickly to write something down." 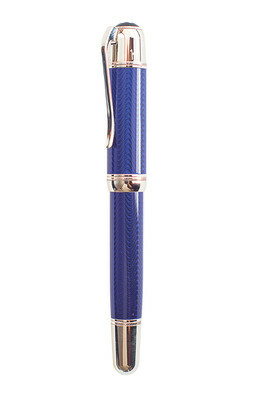 The other is a fountain pen, which he reserves for moments when he wants to take time to express something. "A fountain pen slows you down," he says. "You have to unscrew the cap, the ink needs to dry, and just the fact of handwriting with it makes you think longer and more intensely because you can't conveniently delete." Although Mr. Schmitz owns several classic styles in his personal collection of more than 100 pens, he tends to favor brighter pieces in daily life. He sees a conservative black pen as simply "a tool," he says. "I love to wear very bright colors [in ties]—green, yellow, red," he says. "And it's the same for me with pens." He tends to favor eye-catching but elegant designs. He sometimes chooses a pen color to match his mood, for instance, picking an orange one when he's feeling sunny. When he wants to make a statement, he chooses piece that is thick and oversized or has a design, such as ornate snakes embossed on it. A favorite is a slender pen actually designed for women with a creamy shell cap, rose-gold fittings and a dark purple stone. "It's a fun statement and a beautiful pen but it also writes well." Mr. Schmitz notes that pen trends tend to echo jewelry trends. Rose gold is currently fashionable in jewelry as well. These days, he says, pens that have a high-tech aura are popular. These include slimmer pens made of shiny carbon fiber or stainless steel and pens that come in the bright white color of iPhones or a translucent bright blue. But he says no to matching your pen to your gadgets, saying a pen should act as "an accent." The most important thing, however, is how it works. When buying a pen, he takes time to gauge how the pen feels in his hand—the thickness, weight and length have to feel right or he may write more clumsily than usual. 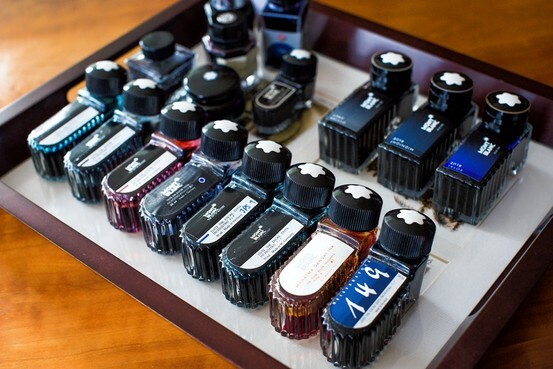 If he is buying a fountain pen, there are several factors to consider. Does he want one that uses cartridges, or would he prefer the classic style, which requires cleaning and refilling of ink? With the latter, "you have to clean it every couple of months, if you want to change the ink color. You have to rinse it for three to four minutes" in warm water. The thickness of the nib, he says, is purely a personal choice. "It's about speed, pressure and angle. Some people who have a very small script and write very slowly want something very delicate, very fine," he says. "If you use broad strokes and want more ink flow to make a bigger statement, have a bigger personality, then take a broader nib." 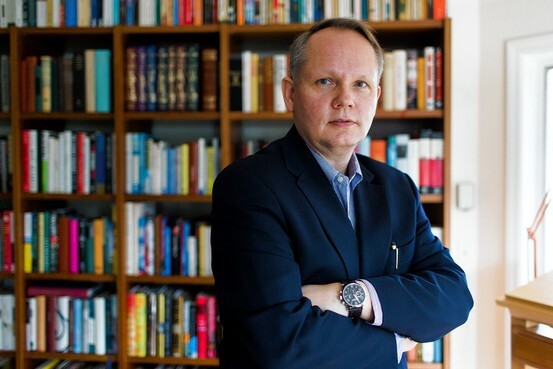 Mr. Schmitz tends to use his slender-nibbed fountain pens for tasks like marking up a spreadsheet. Generally, though, "I'm more on the broad side," he notes. He avoids using black ink, especially when signing his name on a typed letter. Since signatures can now be printed on correspondence, if you hand-sign with black ink, it may not be clear you actually signed it. "For me, black doesn't stand out," he says. Mr. Schmitz prefers blue ink for his official correspondence. For personal letters and notes, he opts for cheery colors—such as orange. At the holiday season, he often switches to forest green. If he wants to leave a lingering impression, he'll add one more element: scented ink. While he'll avoid feminine aromas in ink such as roses or other florals, Mr. Schmitz sometimes chooses an ink that has a vanilla smell. That, he notes, "makes it a tactile experience."